In November, we provided a list of some of the more popular insurance products that NCRA makes available to members. Considered one of the top three reasons for joining NCRA, members have access to everything from equipment and liability insurance to pet insurance and healthcare plans. NCRA’s ongoing partnership with Mercer Health and Benefits Administration has made it easy for members and their families to get the protection they need at an economical price. 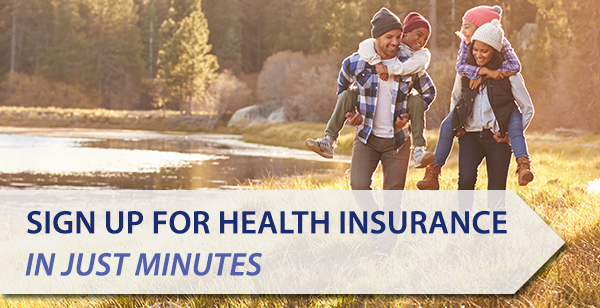 Open enrollment, the period of time each year when you can sign up for health insurance, varies depending on the healthcare plan you are looking for. The open enrollment period for healthcare plans in the individual market ends December 15. If you don’t sign up for health insurance during open enrollment, you usually cannot sign up until the next open enrollment period unless you experience a qualifying event. Qualifying events like getting married, getting divorced, the birth of a baby, or losing existing health coverage allow for a special enrollment period exception. NCRA’s insurance platform, provided by Mercer Marketplace 365 and supported by GetInsured, is a tool to help you meet your healthcare needs, including whatever information you need on tax breaks or penalties, available coverage in your area, or to find out if a life event has changed your insurable status. Providing only basic non-identifying information, you can determine what plans are available to you and at what price. Each plan is scored based on your needs to help you find the best match. Of course, the final decision is yours. There is no commitment, and you can even use the website to comparison shop against an existing plan. Another great feature is the Health Insurance Basics area that explains many of the terms associated with insurance. Now is the time to investigate your options to make confident and informed decisions to protect you and your family at a rate that fits your budget. Members are encouraged to visit GetInsured.com/NCRA or call 866-454-6479 as soon as possible, but by December 15, to find out more and take advantage of this opportunity to get insured for 2019. If you aren’t a member, consider whether this is something that makes an NCRA membership a worthwhile investment. Non-members can compare plans but won’t be able to enroll without being a current NCRA member. If you don’t need health insurance, the end of the year is also a great time to review your other insurance needs and prepare for the year ahead. Consider visiting NCRAInsurance.com to see what products are available to you. To see all NCRA insurance options available to you, please visit NCRAInsurance.com. See below for some of the more popular ways to find out more information about Mercer’s products. For health insurance*, visit GetInsured.com/NCRA or call 866-454-6479 by December 15, 2018. For Long-Term insurance, call 800-358-3795. If you have general questions, call 800-503-9230. *Please note: not all plans may be available in all states. Natalie Dippenaar is NCRA’s Assistant Director of Member Relations. A major benefit of NCRA membership is access to Mercer Health and Benefits Administration’s many different products at reasonable prices. Mercer works with members to find insurance for a variety of professional and personal needs through a number of carriers. Doing so allows members to compare prices and select the package and price that best suits their needs. By working with NCRA, Mercer has made it easy for members and their families to get the protection they need at an economical price and the process of getting insurance a little less daunting. And here’s some great news: Mercer is adding home and auto insurance as a new benefit for members in December! In addition to the new home and auto options, here are a few of the most popular insurance plans with NCRA members. Equipment used for business is often not insurable under your homeowner’s policy. Protect your equipment from loss, damage, theft, and vandalism with premiums starting as low as $50 per year and no deductible. Additionally, premiums may also be tax-deductible as a normal business expense. Consider the catastrophic losses that can result if you are faced with an errors and omissions suit. Protect yourself financially against a wide variety of lawsuit situations, including court judgments or out-of-court settlements. Coverage is portable and up to $1,000,000 in coverage is available with no deductible. This plan provides accidental death benefits for covered accidents, as well as benefits for covered accidental loss of the use of certain body parts or functions, regardless of whether you are able to work or not. Benefits range from $50,000 to $500,000 in $50,000 increments. The need for long-term care usually arises from age, chronic illness, injury, or disability. It is predicted that at least 70 percent of people over age 65 will need long-term care services and support at some time in their lives and most people don’t plan for it. Dental care is expensive and often neglected due to the cost. Providing comprehensive coverage and a broad network of dentists, this plan has competitive rates to help you afford your dental treatments. Pets are part of the family too, and when your pet becomes sick or injured, you don’t need the added stress of worrying about how you will pay the veterinary bill. Pet insurance is offered through Veterinary Pet Insurance (VPI), the nation’s oldest and largest provider of health insurance for pets. A VPI policy provides you with the freedom to obtain the best medical care for your dog, cat, bird, rabbit or other exotic pet at specially negotiated and affordable rates. For more information, call 1-800-USA-PETS. With increased worries about cyber threats, this is a plan you may want to consider. This plan is designed to mitigate losses from a variety of cyber incidents. This integrated insurance and risk management program offers access to human resources- and data management-related services. NCRA provides a tool to help you meet your healthcare needs, including whatever information you need on tax breaks or penalties, available coverage in your area, or to find out if a life event has changed your insurable status. Now is the time to investigate your options in order to make confident and informed decisions to protect you and your family at a rate that fits your budget. Open enrollment is from November 1 to December 15. 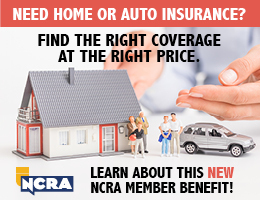 To see all NCRA insurance options available to you, please visit NCRAInsurance.com. For a few products, there are specific websites or phone numbers to call. See below for some of the more popular ways to find out more information about Mercer’s products. For health insurance*, visit GetInsured.com/NCRA or call 866-454-6479 between Nov. 1 and Dec. 15, 2018. 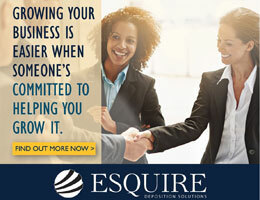 For Long Term insurance, call 800-358-3795. *Not all plans may be available in all states. The Feb. 15 deadline for open enrollment under the Affordable Care Act is approaching fast, and NCRA members seeking health care coverage can take advantage of a free service that is convenient and confidential. The service compares coverage plans based on an individual’s specific health needs. NCRA members who enroll for health care through Mercer Marketplace and GetInsured also have free access to HealthAdvocate, a 24/7 service that provides help with resolving insurance claims, finding doctors and hospitals, scheduling specialist appointments, and more. The open enrollment for health insurance coverage, as required by federal law, closes on Feb. 15. For more information, contact a licensed GetInsured broker at 866-454-6479 or visit GetInsured.com/NCRA for more information or to enroll. These individual health insurance plans are not sponsored by the National Court Reporters Association or Mercer Marketplace. If you are eligible for affordable minimum value health care through an employer, you will be ineligible for federal tax credits toward the purchase of exchange coverage. Please ask a licensed GetInsured agent if you have questions about your eligibility.